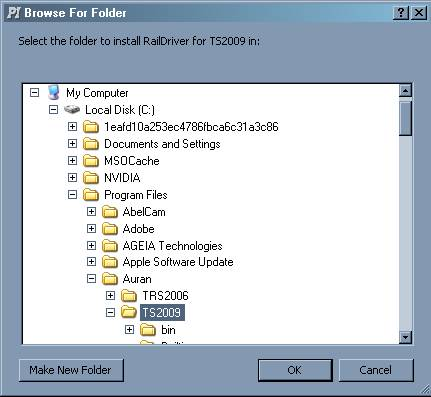 Download and install rdts2009.exe (v.1.4.1.6), unless you have Trainz 12 SP1. 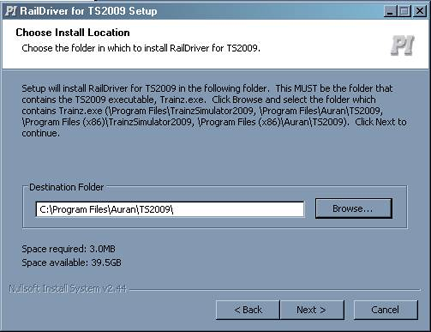 If you have Trainz 12 SP1, download rdts12sp1.exe (v.1.4.1.9) instead. Note: It is possible for your installation to be in a different location. This is just an example. 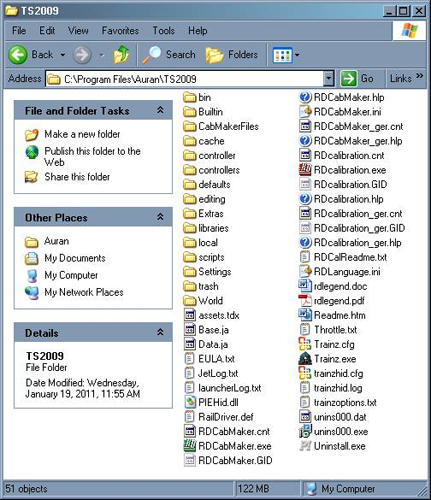 Please be sure you know where exactly you have installed Trainz, including whether or not it is installed in Program Files (32-bit system) or Program Files (x86) (64-bit system). 4. Click on "Next," then on "Install." Once the installer is finished the Calibration Tool should run. Just follow the instructions to get your RailDriver calibrated. 5. Start up Trainz. When you've selected a route and it loads, choose "Cab Control" and your RailDriver display should switch from rd to 0.